As increasingly powerful hurricanes move across the Atlantic and through the Gulf of Mexico, Florida residents in places like Mexico Beach have to make tough decisions on how to keep their homes safe each hurricane season. 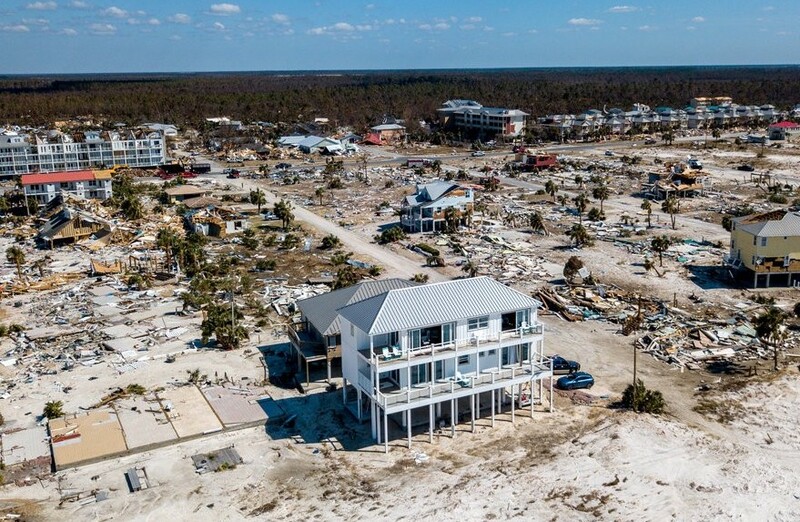 The Federal Emergency Measures Act (FEMA) has newer guidelines for Coastal Construction aimed at protecting homes from severe weather, and the state of Florida’s building codes in the southern and central areas of the state are also notoriously stringent. With this in mind, many homeowners are turning to architects and builders who bring smart resilient designs and materials to the table, in order to protect their investment. 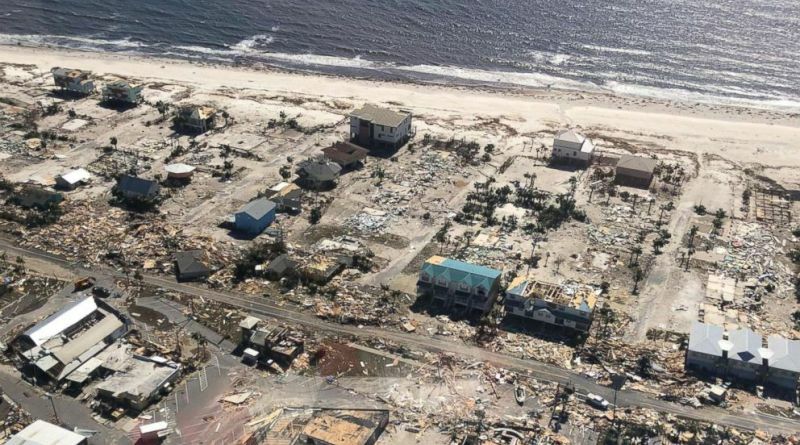 In October 2018, Hurricane Michael made landfall in Mexico Beach. Michael was the third-strongest storm to ever hit the United States, with winds exceeding 155 miles per hour and a storm surge of up to 14 feet. When it was over, communities had been leveled, with insurances losses in Florida exceeding $1.25 billion. But a few surviving houses caught the eye of Architectural Digest, the New York Times and other media outlets around the world, seemingly untouched by Michael’s destruction. What made these houses different? And what can we learn from them as the prevalence and severity of coastal storms increases? 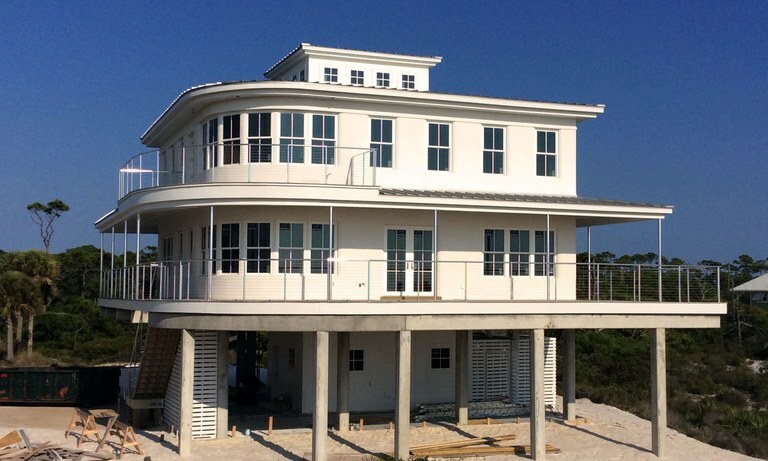 The owners of this house in Mexico Beach had their home designed with ‘the big one’ in mind, and they got to test its construction almost right away. They considered every detail and went above and beyond Florida building codes where possible. While state codes for the area only require construction to withstand 120 mile per hour winds, this house was built for 250 mph winds instead. – Poured insulated concrete walls. – Steel girders from one side of the house, through the roof, to the other side. – Hurricane-proof windows and doors. – Small soffits to limit the potential for lift during high winds. – Narrow balconies and porches facing the beach. – A 4-sided ‘hip-roof’ that better withstands high winds in comparison to 2-sided designs. – Fiber cement siding on upper floors, instead of vinyl. While the homeowners admit they had to eliminate a few balconies and windows—common features in Florida beachfront properties—from the design during construction, these sacrifices ultimately proved worthwhile when their house was still standing after the hurricane had passed. Down the coast from Mexico Beach, in Cape San Blas, Ezra Smith designed a home with deep pilings reinforced with steel rebar to provide stability when the storm hit. Smith also used double insulated concrete forms (ICF) for the walls. ICF, like Fox Blocks, starts with lightweight polystyrene and then gains strength from placed concrete. It is the building material that architects and engineers increasingly turn to for homes meant to withstand extreme weather and hurricanes. ICF can stand up against winds over 200 miles per hour, and the additional insulation means the concrete cures even stronger than standard concrete forms. 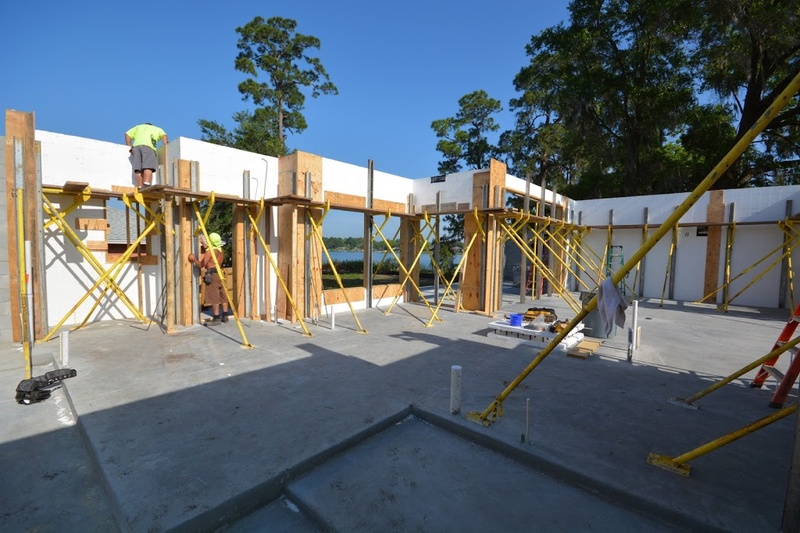 As with the Mexico Beach and Cape San Blas homes, ICF houses are reinforced with rebar and steel hurricane straps that secure the roof trusses. Designing with this continuous load path in mind holds the structure in place, from the walls to the roof and down into the pilings. These two houses are an excellent example of this, built to move the load of hurricane-force winds thru the roof into the walls below. – Drain tiles and a submersible pump to redirect overland water and groundwater away from the house. – Backflow valves on the main drainage pipe to prevent water entering the home. – Hurricane clips to connect the walls and roof. – Secure sheathing using glue and nails to attach the roof to the decking, and additional nails for the trusses and decking. It’s true the cost of building a maximum ‘hurricane-proof’ house is more than the price of building one according to minimum Florida building codes. However, there are ways to protect your home without breaking the bank. By building your home with a product like ICF, you can get extra protection from hurricanes for an amount closer to your budget while also enjoying the cost savings associated with lower cooling bills. It is worth the minor upfront investment to protect yourselves and your home while saving on your energy bills monthly. While living on the beach may be the dream, it’s important to ground that dream in reality. For more information on advances in building disaster-resistant homes, visit the Fox Blocks website. Any sustainability consultant will tell you that a building’s insulation is a crucial part in constructing an energy-efficient, high performance home. Choosing the right material and insulation method for a build ensures homeowners will have a sustainable building envelope for the life cycle of the home. Insulated concrete form (ICF) is a system of reinforced concrete with rigid thermal insulation. The insulation acts as a permanent substrate for walls, floors, and roofs. 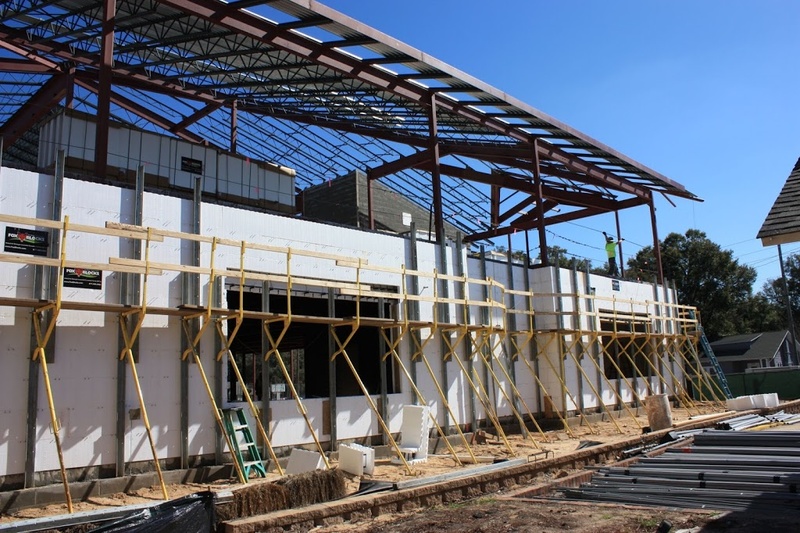 Known for its resilience against extreme weather like hailstorms or tornadoes, ICF is growing in popularity with today’s increased demand for sustainable construction. In fact, ICF isn’t just used for commercial buildings and LEED-certified facilities, but it’s also being incorporated in some seriously inspiring applications for modern homes. This home showcases a trendy, artistic design that can be accomplished with the use of ICF. The sturdy concrete form acts as a strong foundation for the multi-storied structure, and can withstand the elements. 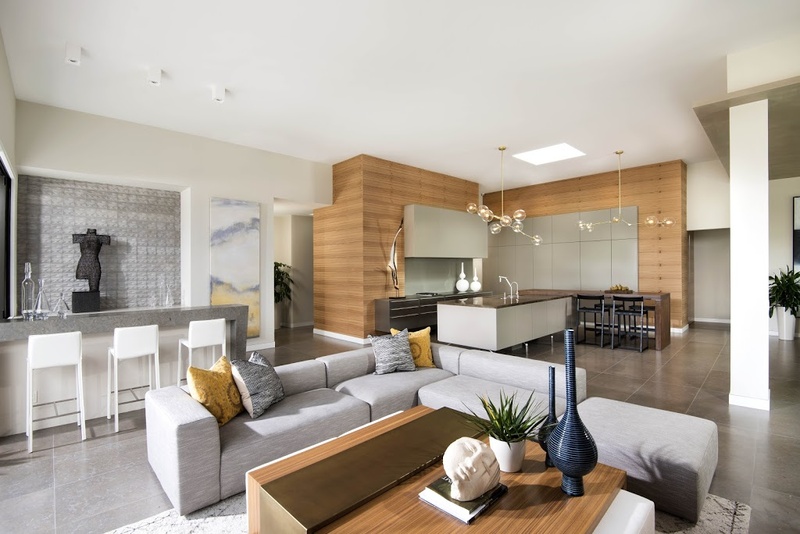 The contemporary layout features straight lines, open floor plans, and attention to lighting details, making this a fun and unique design, especially for younger homeowners. The strength and durability of ICF means a designer or homeowner can opt for a more open design for their space. 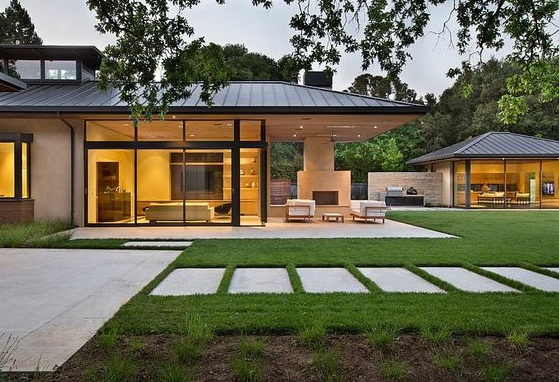 In this case, the house blends in with its surrounding natural environment, featuring floor to ceiling windows and a connecting bridge from the inside of the space to a picturesque courtyard. This layout is not only inviting, but leaves more space for solar panels. This design incorporates sustainability into a modern, family-style home with lots of visual detail. The ICF application allows for large windows and a sizable base. What makes this layout so impressive is the ability to utilize ICF and sustainable concepts with a family-friendly design. The traditional two-story design is driven by a contemporary approach to energy-efficiency, and has plenty of space for entertaining guests. This home’s simple, classic aesthetic extends from its interior space to the outdoor patio and surrounding property. Clean lines and consistency drive this design, and using a sustainable application like ICF adds to its more modern appeal. 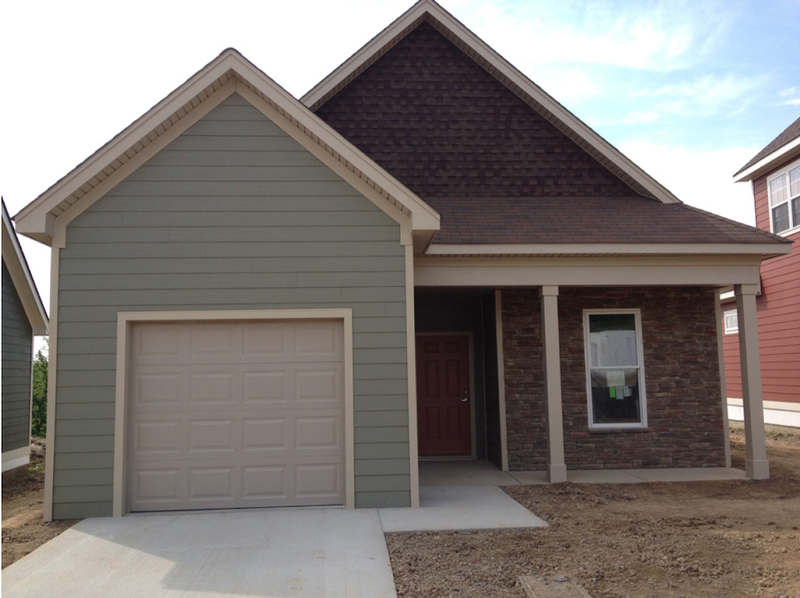 If you’re looking for a bigger home, ICF is a great option due to its low maintenance and better insulation. The comfort of living in and operating a house like this one is easier and more affordable, so designing the home can be much less stressful. 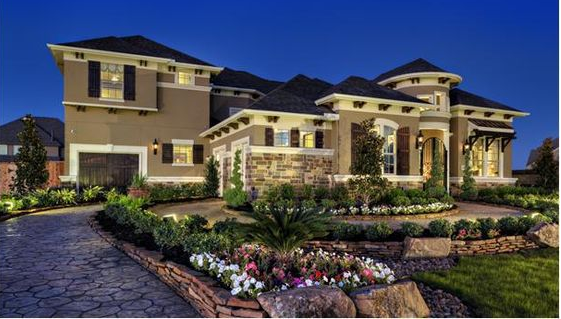 Aside from its sprawling design, the front yard and inviting entryway give this home massive appeal. Attention to details like the stone driveway and lush landscaping welcomes visitors, and the complementary brick on the front of the home adds unique character. Using ICF opens the door for a variety of designs without compromising durability or sustainability. In this case, it’s used as the foundation for a fresh and clean design. Using different exterior materials here, like the stone and wood features around the home’s garage, certainly inspires creativity, along with the alternating pattern details of the driveway. These are simple touches that can add unique character to any home. 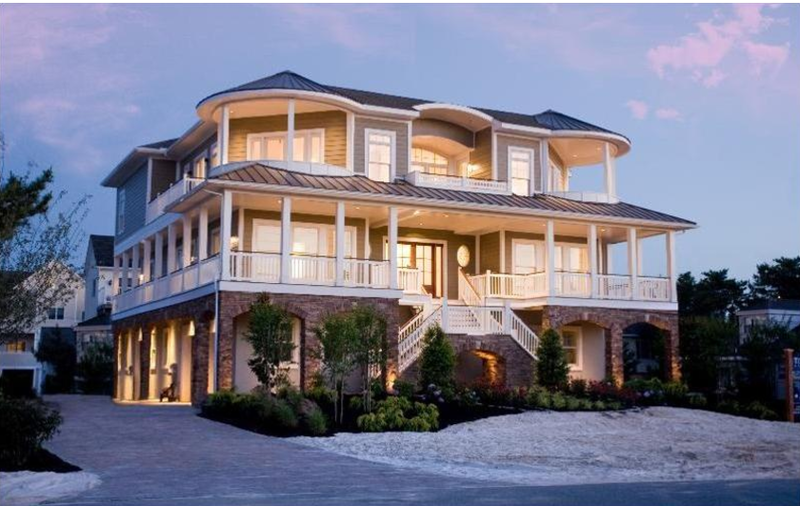 ICF is great for expansive structures like this gorgeous home. This design is an example of how a designer can tie sustainability in with both contemporary and more traditional components like the home’s iron railing and open archways. With the low maintenance of ICF, a more intricate design like this is made more possible and affordable. 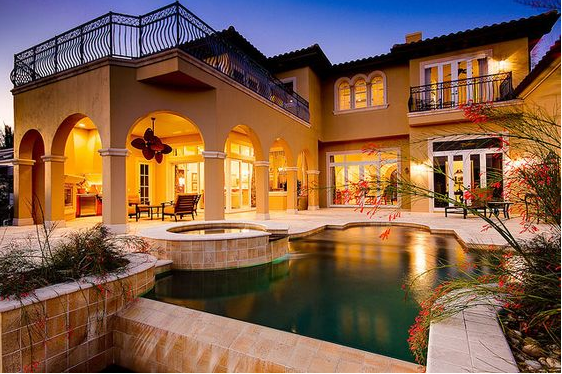 And who doesn’t love a patio and pool during hot summer months? ICF is also a good option for smaller homes. Sometimes, less is more, although while it’s smaller, this home’s design doesn’t compromise on style. 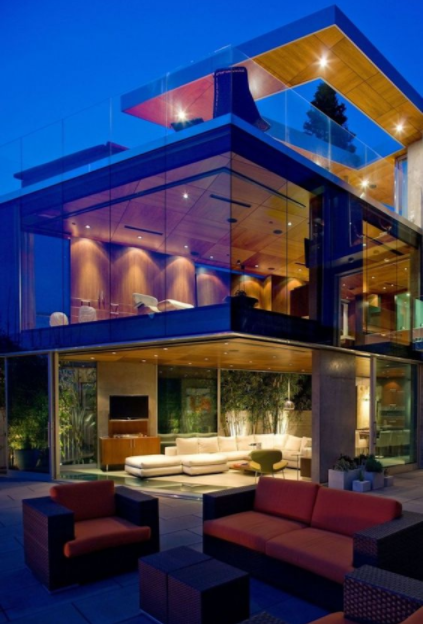 Complete with an outdoor theatre and luxury space, this gorgeous contemporary home proves that bigger isn’t always better. Modern architecture doesn’t have to be hindered by the growing demand for sustainable design—in fact, they go hand-in-hand. 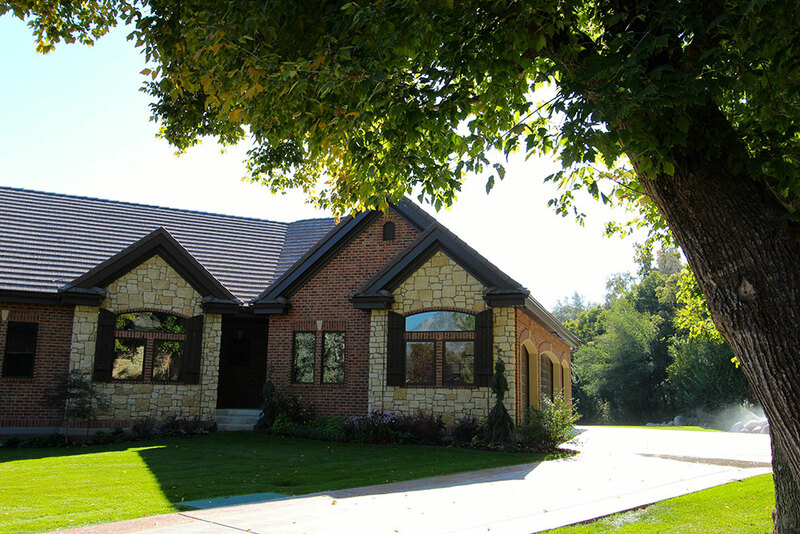 ICF accommodates a variety of styles, while remaining an ideal sustainable choice. Energy efficiency isn’t just a trend in architecture and construction, it’s a requirement. Architects and contractors now regularly implement sustainable methods into their projects, and housing is no exception. In fact, residential construction in particular is seeing an increasing demand for sustainability. Because energy-efficient housing has proven to be cost-effective, the high demand for green buildings has made its way into the housing market. One thing to consider is the energy efficiency of the materials you use during construction. Materials that are energy-efficient are not only good for the environment, but help homeowners save money in the long run. Using these materials will make your business that much more attractive, because customers will want a sustainable, resilient facility that increases in value over time. There are some great materials available that will not only make your residential project stable and secure, but turn it into a model for sustainable construction. If you are building a home from scratch, you should consider the type of foundation and walls you want. 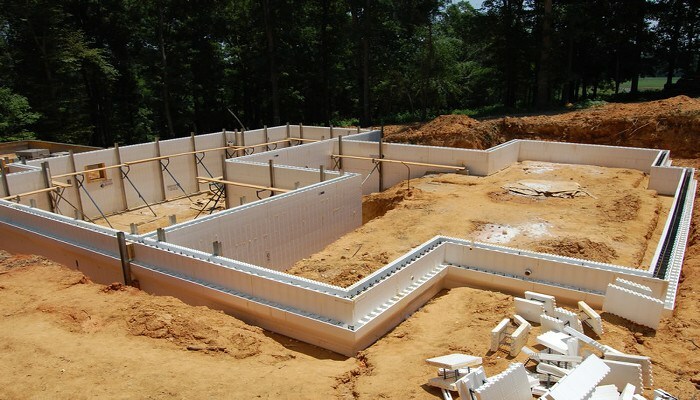 Insulated Concrete Forms (ICF) are a different kind of concrete form than the traditionally poured concrete. ICF are hollow foam blocks that are stacked into the shape of the exterior walls and filled with reinforced concrete. The concrete between the panels support the infrastructure while the ICF form provides a dual layer of insulation, plus the air barrier and vapor barrier. According to a study of 58 single-family homes in the United States and Canada, ICF walls require 44% less energy to heat and 32% less energy to cool than a wood-frame house. These energy savings help homeowners save money while equally helping the environment, which is why ICF is a great idea for professionals who want to maintain sustainable design. There is a preconceived notion that steel can only be used for high-rise buildings or large industrial buildings. However, steel is an attractive option for any building because of its sustainability and durability. Steel can also be a money-saving option because it can be recycled from materials like scrap car parts. Additionally, steel has the option to be molded and applied in almost any shape. Its versatility makes it perfect to stabilize your project. So what’s the catch? Some say that steel does not have the aesthetic appeal of traditional wood beams, but with the right design, you can make steel beams have the look and feel you desire. Cool Roofing is an invention that wasn’t always aesthetically appealing or available to the residential buyer. 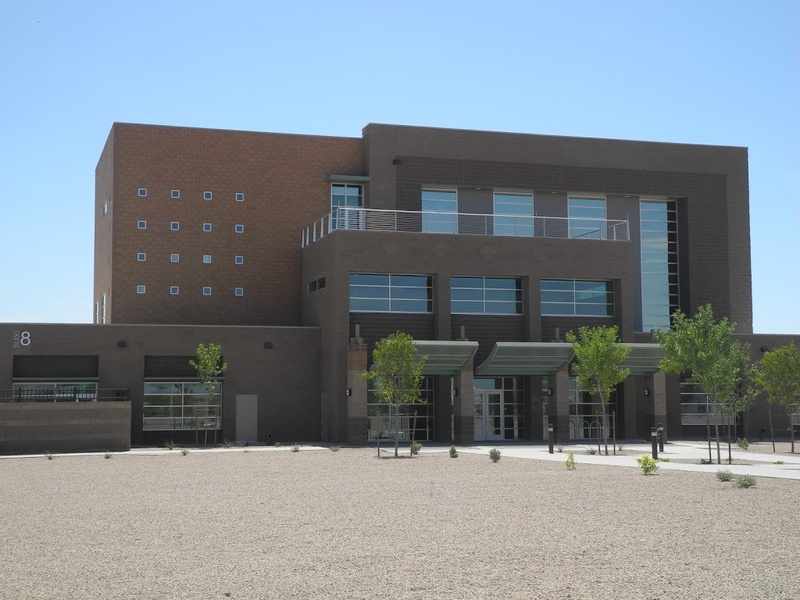 A cool roof reflects the heat from the sun, so the heat will transfer less into the building. The long-standing problem with this solution was that the reflectors were made of light colors instead of traditional dark constructed roofs, which didn’t appeal to a lot of homeowners. However, technology has developed and there are new treatments that allow consumers to choose a darker material that will also reflect the heat of the sun. Lastly, we cannot forget about the incredible environmental impacts Cool Roofs have on society. The reflectors directly reduce greenhouse gas emissions by conserving electricity, which leads to less CO2 into the atmosphere from power plants. These roofs can also directly decrease the air temperature in urban communities by reflecting solar radiation back into the atmosphere. 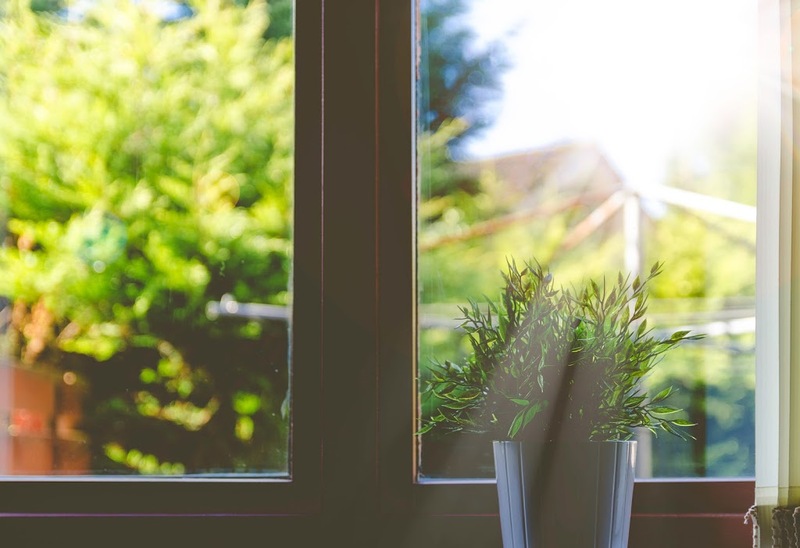 Low-e Windows stands for “low emissivity.” This type of window is coated in a microscopic layer of metallic oxides that protects your home from UV rays. UV rays can burn your skin, as well as fade your carpets and hardwood floors. However, the more exciting thing about these windows is that they help control radiant heat as it enters and exits a room. This means that they keep the home warmer in the winter and cooler in the summer. 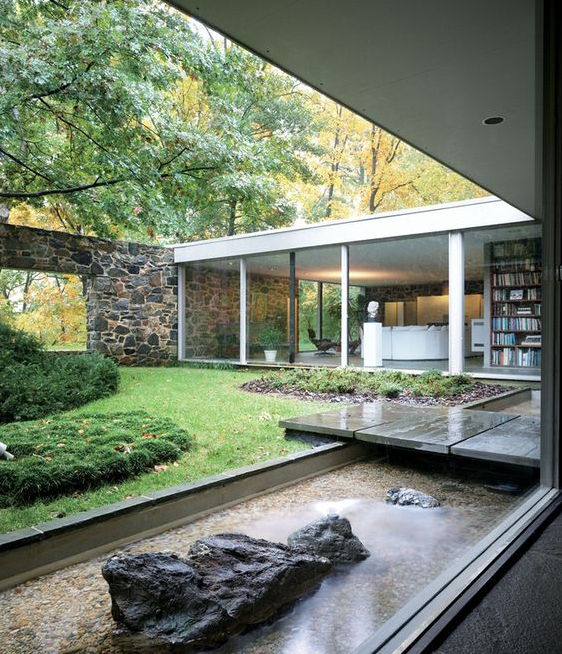 These windows come with several environmentally friendly benefits. Because the metallic oxides prevent UV rays from reaching your space, they reduce the heat flow through the glass by nearly half. This helps homeowners by reducing their heating costs. The cost effectiveness of these materials drives the value and demand for sustainable construction. Using these products in your residential projects will brand your company as an innovator in energy efficiency, which will increase your sales and number of projects. Waterfront homes are one of the most sought after properties in the country. Unfortunately, homes on the water face weather conditions and a climate that can be destructive to the home. Severe weather events such as hurricanes, tornadoes, and storm surges are known to cause structural damage and destruction beyond repair. Furthermore, the humidity and wind that accompany the waterside lifestyle can also cause damage to the exterior and interior structure of the home. For these reasons, it has become essential to use materials that can withstand the worst conditions possible in order keep your family safe inside. Insulated Concrete Forms (ICF) are one solution that are able to stand up to nature’s unpredictable behavior and regulate the climate of your home. Situated on the Canadian province of Prince Edward Island, this 2,500-square foot ranch-style home was built in 2010 along the Clyde River. High winds and rainfall from tropical storms and hurricanes are not uncommon in the area. Because it’s stronger than wood and steel, the ICF foundation and main structure is an excellent solution for a home located on the waterfront such as this. 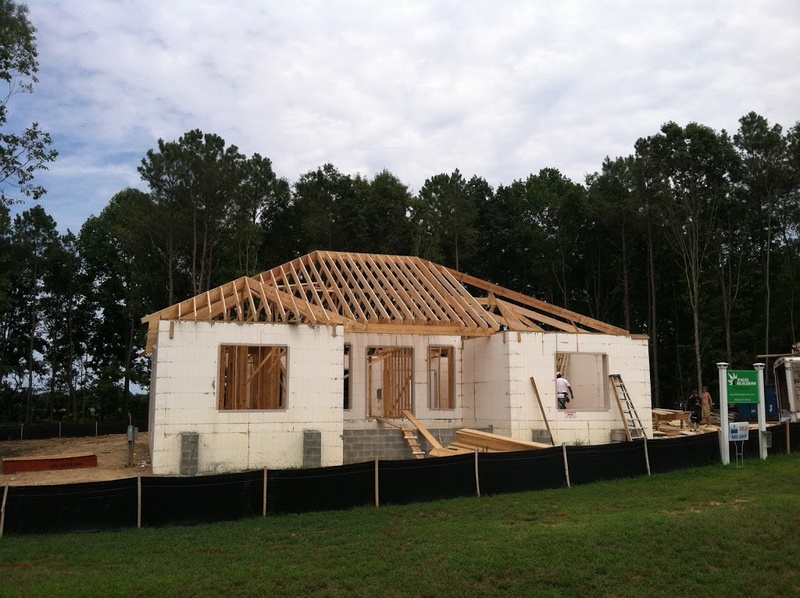 ICF homes are built to withstand severe weather storms, tornadoes, and hurricanes, which makes it a great choice for this foundation. 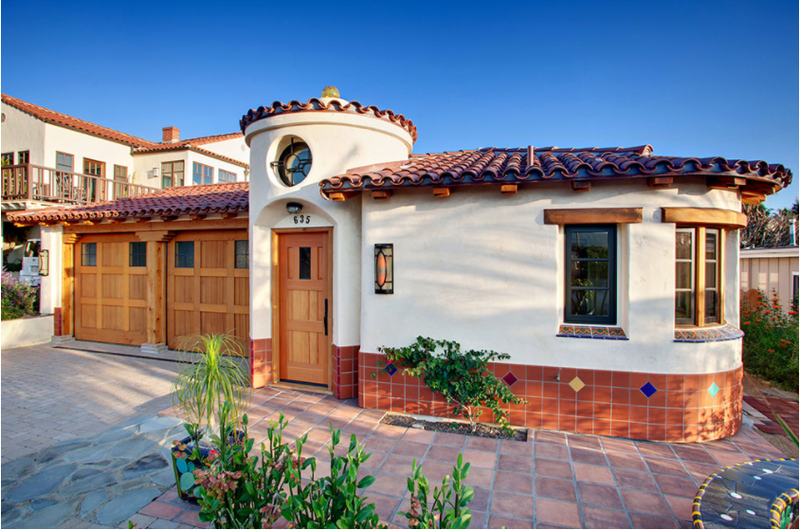 This California-Spanish-style home resides in Laguna Beach, California. The climate is rather mild and precipitation levels are quite low in this area. However, Laguna Beach’s proximity to the water and history of Green Building architecture gave contractors and designers the opportunity to install ICF as the main structure of the home. Installation took only 14 days and cut approximately 3- 4 weeks off of the timeline. 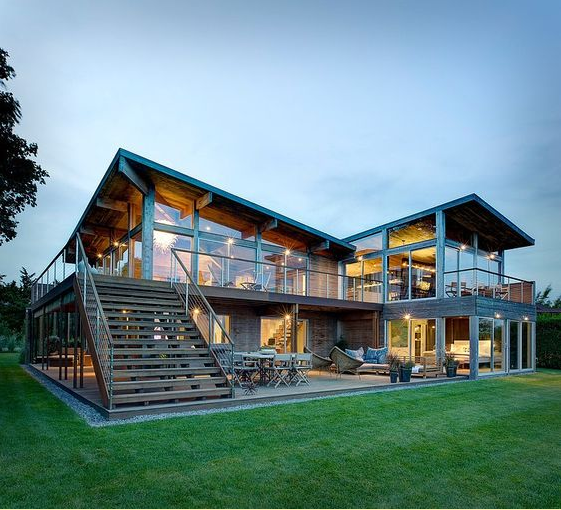 This 1,870-square foot adobe-style residential property was awarded ICF Builder Award 2011 in the Small Residential category. It won the award for its functionality and innovation, while upholding the unique design appeal of the Laguna Beach area. The view isn’t the only awe-inspiring aspect of this property. 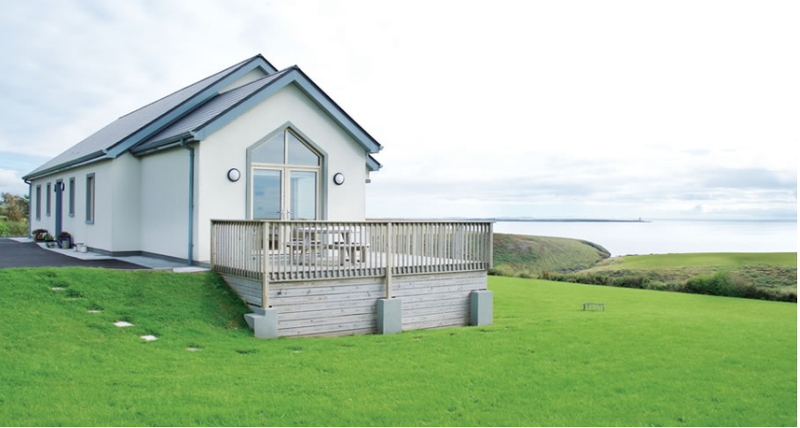 Sitting on the coast of County Waterford in the Southeast region of Ireland, the home is framed with insulated concrete forms that provide energy-saving benefits all year long. 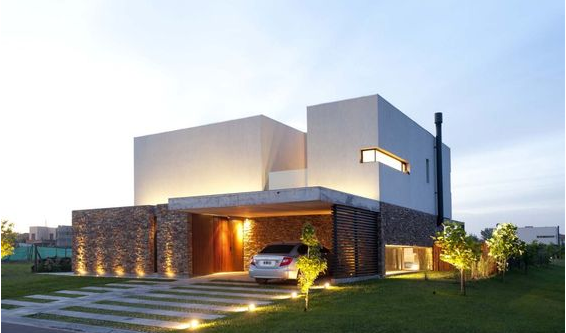 This inverted two-story residence is structured to provide a minimal rate of heat-loss, taking the high thermal resistance of the ICF into account. The builder chose to insulate the home with ICF to create an air-tight system that would combat against the cold-weathered climate without sacrificing any of the aesthetic value. 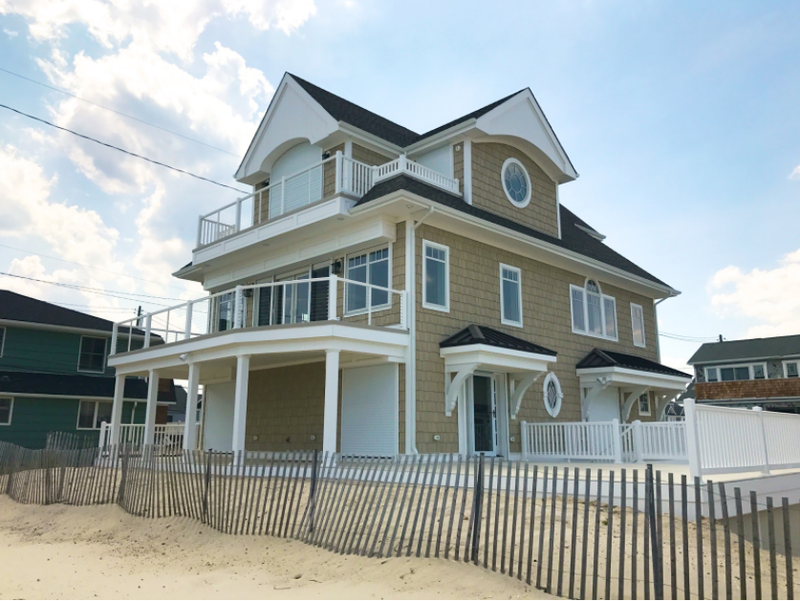 This stunning oceanfront home in Dewey Beach, Delaware held its own against Hurricane Sandy’s strong rain and wind gusts. Framed with ICF, the residence has high-wind resistance, impact resistance to withstand flying debris, and seismic resistance because of the steel reinforcements and concrete in the ICF. In addition to the structural and protection benefits, insurance costs can be significantly lowered when sustainable and energy-efficient ICF materials are used in construction. 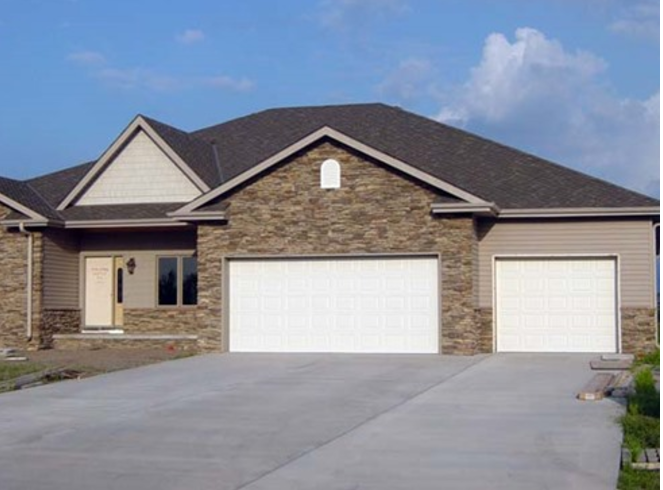 Sturgeon Lake in Minnesota is home to this 6,200-square foot, custom-built residence. Structured with ICF. The home is resistant to any flooding that may occur from rising water and will protect against any storms that occur during the lifetime of the home. ICF’s also don’t promote mold or mildew growth after flooding, which saves maintenance and repair costs after a storm. Without sacrificing curb appeal, builders were able to incorporate ICF into the design to give future owners the peace of mind and other benefits that this framework provides. When Hurricane Sandy made her mark, it became evident that strong buildings are a must at the Jersey Shore. ICF wall technology in this home protect against winds up to 250 miles per hour with its steel reinforced concrete walls. Sitting right on the coast, high winds and flying debris are a common threat during the summer months. Designer/builder John J. Chando Jr. Inc. took these risks into account and chose a solution that would deliver the highest level of protection and the homeowners a lot less to worry about. While the beauty of this home is evident, what lies within this bright yellow coastal home is what really makes it special, insulated concrete forms. 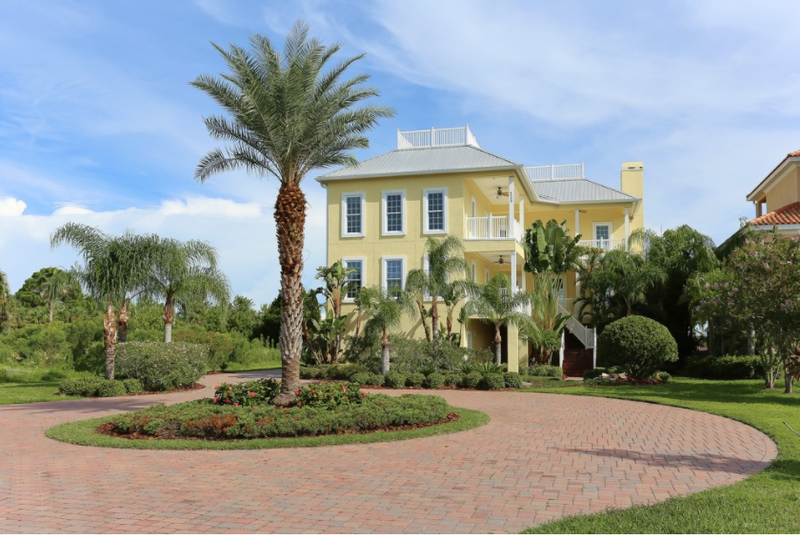 With 110 feet of waterfront on this property along the Florida Gulf, energy and safety were key in construction. With the use of ICF, energy costs and insurance rates can be significantly reduced along with many other benefits. This beautiful walkout ranch-style property sits on a lakefront lot in Omaha, Nebraska. The builder/owner wanted to create a home environment that was quiet and that would reduce energy costs of heating and cooling. It was important that the home be storm-resistant to the tornadoes that are common in the area. Fox Blocks corbel ledge blocks were used in the construction of the home’s interior and exterior walls to provide maximal support. ICF can also be used in the construction of FEMA-approved safe rooms, ensuring occupant safety. The construction industry is booming. Since the bottom fell out of the real estate market in 2009, there has been a steady increase in activity resulting in thousands of available construction jobs being added each year. So much so, companies are struggling to find qualified workers on a consistent basis. In many cases, under-qualified labor is hired, the workers aren’t up to the task, and the schedule and budget take further hits just to remedy the mistakes made. It’s no one’s fault—it’s simply the result of not having enough properly trained individuals. Advances in building materials and installation techniques have changed the conventional construction industry. In order to be efficient, new workers must understand how and why building products are installed a certain way. For companies and professionals suffering from the industry’s labor shortage, these four tips can help overcome some of those obstacles and keep projects on schedule and on budget. The ability for your workforce to move vertically will attract employees looking for something more than just swinging a hammer. The sad truth is there are a lot of companies that have no interest in providing continuing education for their workers. In economic times like these, that sort of reputation will have skilled laborers looking elsewhere. In a competitive market, a company’s skill set and versatility are assets to winning projects. Training your workforce builds pride, and that pride will be reflected in success. Expanding the scope of what your business can do, such as masons or carpenters learning to use ICFs, increases your business’s market potential. It starts by having the people in charge show an interest in teaching their workforce how to do their jobs better. This also includes preparing them for more responsibility and better wages. There doesn’t have to be a complete overhaul in how business is done, but enough to show potential labor you are willing to invest in their continued well-being. Taking it further, construction companies can set up more formal training programs or provide funding for workers to take classes to expand their skillset and stay relevant in the industry. If your company can build a reputation as one that adds value beyond the paycheck, you’re much less likely to suffer from workers turning their back on you. No one wants to end up in the hospital with a two-foot rebar sticking out of their leg. If you can show workers your company puts an emphasis on jobsite safety, the open positions will start to look more attractive. OSHA makes sure that certain safety standards are enforced, but even more can be done to keep the hospital beds free of scaffolding fall victims. Give mandatory courses to any new employees to make sure they know all the best safety practices they should be following. Take things beyond the hardhat and the yellow vest—make sure that initial training is directly pertinent to the type of work they will be doing. Again, it’s all about reputation, and being known as the company that takes care of their crew. Developing close relationships with manufacturers and material suppliers is a no-brainer for any successful construction or design company. In addition to supporting good business sense, those relationships can help fill the labor gaps in your project’s schedule. Many building product manufacturers conduct product-specific training; either classroom, webinars, or on site. Understanding the materials and techniques for installation is advantageous for the whole crew. Manufacturers want their products to be installed and function as per their specifications—they are eager to spend hours ensuring every installation is per spec. When procuring bids and estimates from suppliers, be sure to understand how to accurately estimate materials and man hour rates. Work with the manufacturer’s estimating tools and recommendations to develop an accurate bid and construction schedule. Working with manufacturers allows your business to be more versatile and, along with training, makes your crew more efficient. The smaller crew of permanent, trained laborers can easily manage and train new laborers. In 2015, with the help of an initiative put in place by the US Government, 100 construction companies agreed to hire over 100,000 veterans over the following 5 years. As of now, the program has been an astounding success, as veterans often already have the skills and work ethic necessary to thrive on a construction site. 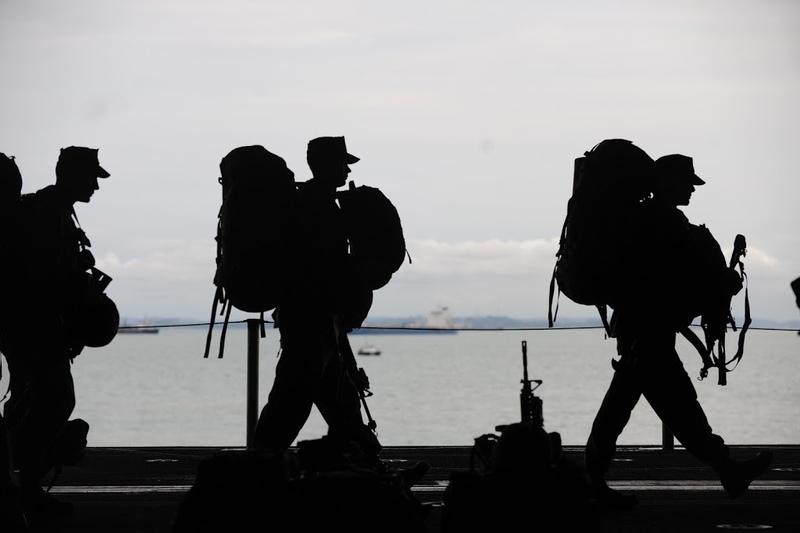 You might even be able to receive federal funding to help these veterans break in their steel-toed boots via the Helmets to Hardhats program. There might need a bit of up front training involved in hiring vets, but it will pay off in the long run with a hard working labor force and a reputation for reaching out to the service men and women protecting this country. It’s a good look no matter how you shake it out. Project cost is one of the most difficult—and most important—estimations for any construction company to get right. You want to be able to set manageable expectations for your client, but also present a budget that is attractive enough for them to choose you as their general or sub-contractor while still making a profit yourself. Due to lack of information, ever-changing prices, and the unpredictability of the labor market, cost estimation is anything but an exact science. One example of this would be the estimation variance in construction material choices like choosing a stick-built home vs. a more modern ICF-built structure. Builders may not be as familiar with newer materials and options. Depending on how your contract is set up, miscalculating the budget could mean a lot more than a few red faces—it could mean the failure of your business. The good news is there are organizational techniques you can implement that reduce the risk of over- or under-budgeting. You’re never going to estimate a project down to the dollar, but getting close will help build your reputation and grow your business. Nothing can derail a project faster than having a bid that was based on a loose understanding of a project’s cost. But it can be tricky to track down accurate information, and the tendency to use broad allowances can help cut down the amount of time taken to get the estimate out the door. Follow up on these uncertainties with the architect, product, and material suppliers, and even the local unions to build a more solid budgetary foundation to get the project started on. The more detailed your estimate is, the more accurate it will be. There will always be things that you can’t anticipate or control, but hanging your reputation on guesses will sink your business. If you’re working with subcontractors, be sure to secure hard line bids for their work to solidify those numbers. In the end, you should have a detailed budget with line items for just about everything. It keeps your estimate honest, and works to build trust with your customers. There’s no better way to keep your team (and yourself) organized than developing a master checklist. You can create hierarchies within the checklist based on critical path items that are standard events that happen over all projects or jobs. Programs like Asana, Evernote, and Google Docs are great for creating and distributing your checklist and having it live online. All of them offer free services up to a certain capacity, and can be easily tested to see what works best for your company. You can also use checklists to manage employees, clients, and customers without being too hands on and avoiding micromanagement pitfalls that can make some people uneasy. The best part? Checklists reduce the risk involved in having complex projects, and remove the excuse-making that can arise as a result of an unorganized work force. Create it. Modify it. Distribute it. Use it. There are always unforeseen circumstances that could take a bite out of your project budget. However, some of these things can be identified before the contract goes out the door. You should always build a contingency into your estimates (usually around 10%), but that should never be an excuse to be lazy about the up-front detective work you should be doing to map out potential risks. If you have enough experience, you might already have an idea of where to expect hiccups. If you aren’t quite as seasoned as other members of your team, lean on them for wiping out any blind spots in your estimate. A second opinion never hurts. Permit fees, inspector salaries, and internal management overhead can pick apart a budget before the first screw goes into the wall. You should have a completely separate section of your cost estimate that outlines any soft costs that might be associated with construction. These soft costs vary widely depending on jurisdiction and project scope, so be sure to do your research ahead of time and account for it internally. This comes down to business sense more than anything else. If you’re not paying yourself and your employees first, you can’t possibly take care of your clients and customers. Hopefully you have enough work coming in where you can be a bit choosey about where your resources are being invested. Sometimes, an impossible job comes along that has no chance of coming in on budget, but you’re the one person on the planet who can get it done. And while that might be true, it’s also a risk you shouldn’t be willing to bet your reputation on. Working good jobs with good clients is the best way to create an honest cost estimate that isn’t met with a raised eyebrow. A lower bid might get you a few jobs in the short term, but can ruin you over time. The clients that know your value won’t argue with you over nickels and dimes—they will pay for the work it takes to get the job done. While it may seem that having to comply with constantly-evolving building codes is just part of doing business in a modern society, that’s not really true. Building codes can be traced back to 1800 BC, when the Code of Hammurabi (the emperor of Babylon) imposed a death sentence on anyone who built a house that collapsed. In the U.S., building codes go back to the days of George Washington and Thomas Jefferson, who advocated for minimum safety standards to protect citizens from building collapses and other accidents. While safety is still a primary focus, the scope of building codes has expanded considerably since the days of Hammurabi and Washington. Today’s building codes are increasingly focused on environmental issues: reduced energy consumption, the conservation of natural resources, and the lessening of environmental impacts (such as storm water drainage, erosion, etc.). As a result, architects, designers, and contractors are turning to innovative solutions. You can’t change the laws of physics. Things like heat transfer and air infiltration are just part of the world we live in. So, as code requirements for energy conservation continue to strengthen, the construction industry relies on building material companies to come up with products that mitigate the effects of those natural laws. The improvements gained through products like insulation, reflective roofing and window films have made significant reductions in the the amount of energy it takes to keep a building heated and cooled. And then there are the innovations that blow right past incremental improvements, setting a new standard for energy-efficient construction. Insulating concrete forms, or ICFs, are a great example of that type of giant-leap-forward innovation. ICFs not only meet the standards for IBC compliance, they blow them out of the water. 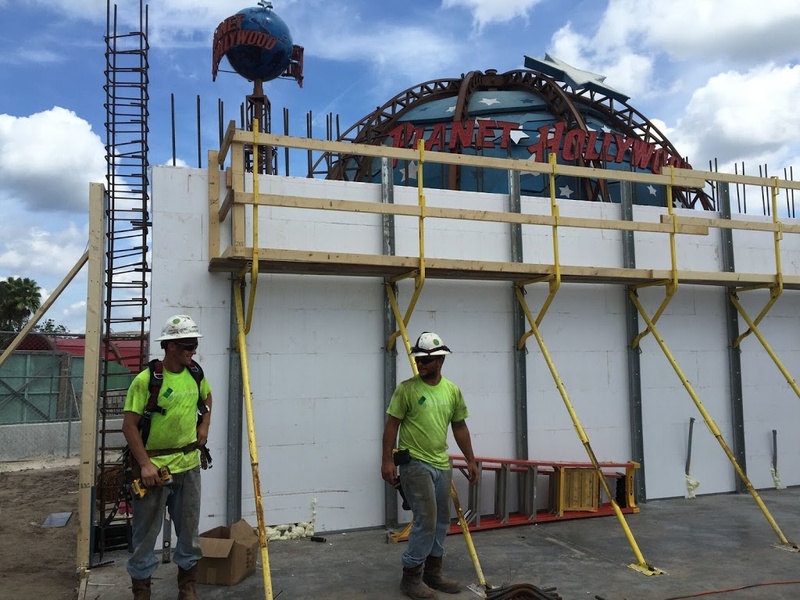 ICF’s concrete wall systems are reinforced with steel and insulated with a double layer of polystyrene foam, combining strength and energy efficiency in individual units that can be arranged in countless designs. When the construction industry initially began focusing efforts on energy-efficient buildings, we heard a lot about a material’s “R-value,” or its resistance to heat transfer. What we’ve learned since then is that there’s more to the equation than the R-value of any particular material used in wall construction. To really determine how energy-efficient a building is, you have to consider three factors: continuous R-value, thermal mass and air infiltration. Continuous R-value is a key attribute of a building’s thermal performance. It refers to how well the wall as a unit resists heat transfer. This may be different than the R-value of individual components. In a wood frame house, for example, the R-value of the insulation has to be adjusted because of thermal bridging, to include the lower R-value of the wood framing. So, while a builder may use fiberglass batt rated R-19, the R-value of the wall as a whole will be lower. 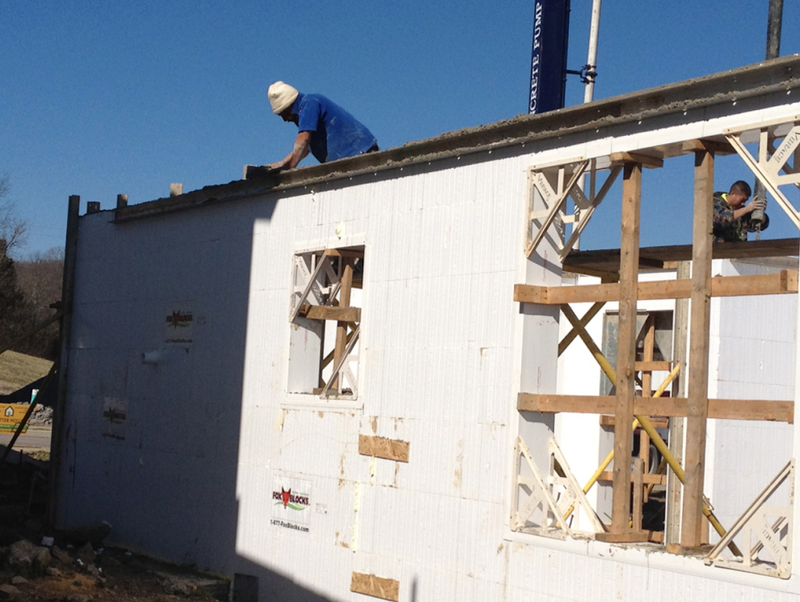 ICFs are different: the insulation is incorporated into the structural elements of the blocks. Instead of layers of various materials with differing R-values, ICFs provide one continuous and consistent thermal value for the building envelope, exceeding code minimums. In other words, what you see is what you get. Over half of the energy lost in a traditional wood frame structure is due to the way heat passes through the various layers: wood framing, fiberglass batt, exterior finish, etc. As energy efficient as any individual component may be, there’s the potential for heat loss in every gap between layers. Adding blown-in or sprayed-on insulation can reduce infiltration, but it can’t eliminate it completely: wood frame buildings typically have 50% more air infiltration than ICF buildings. “Thermal mass” is the scientific term for thickness. Because walls made from ICF blocks are considered mass walls, they delay heat transfer, maintaining a more stable inside temperature despite external heat fluctuations. In areas where nighttime temperatures are considerably cooler than daytime temperatures, the mass concrete within the blocks can release their stored heat at night, in a process called “heat flow reversal” or “thermal lag.” This considerably reduces the energy needed to heat and cool the building on a daily basis, for the life cycle of the building. 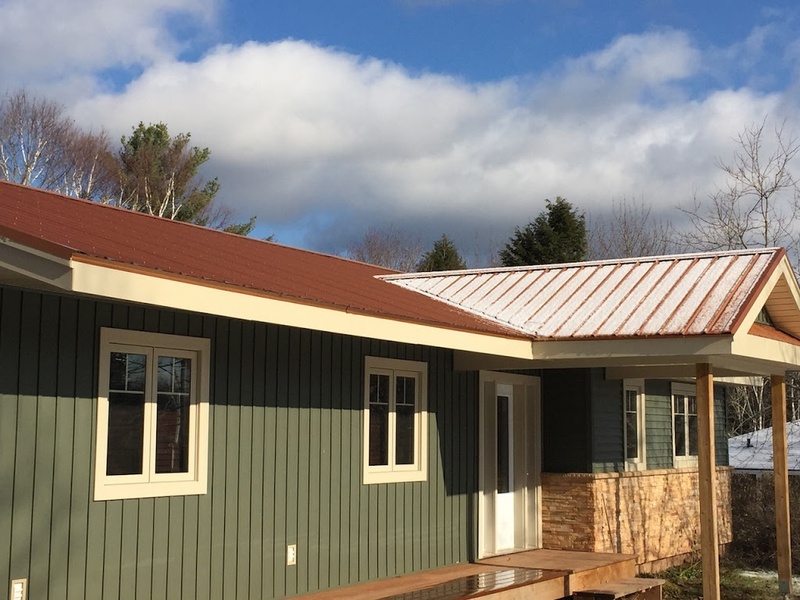 The combination of these three factors creates what’s known as the “ICF effect”: high-performance buildings that require 44% less energy to heat and 32% less energy to cool than comparable wood frame houses. While we seek code-compliance, it’s crucial that building material companies continuing innovating on current industry standards. Many structures built to current minimum code standards are considered safe, but that doesn’t guarantee the building’s resilience after future disasters or stricter codes in the future. -By contributing to LEED certification. -By enabling HERS certifications below the national standard for Zero-Energy-Ready homes. -By providing a healthier enviornment in terms of air quality and acoustics. -By standing up to even the strongest wind storms. In other words, when it comes to ICFs and building codes, compliance is just the starting point. If you don’t have plans for going out this weekend, you’re not alone. Recently published studies show that American homeowners are spending more time than ever at home. While it’s great news that we’re not currently using more energy to run our homes, the study also “raises important concerns about making home energy use more efficient.” If American’s time at home continues to rise, home efficiency will need to as well. It’s up to architects, designers, builders and contractors to continue to step up to this challenge. When we build better homes designed for energy-efficiency, we create a space that the end-user can be proud to call home. Your clients want a higher-performing home that consumes less energy. And that’s not (entirely) just because of what’s trending online and on HGTV. Building or retrofitting a home with more energy-efficient systems helps your homeowners and their wallets. Energy-saving appliances can also earn homeowners tax credits and rebates. 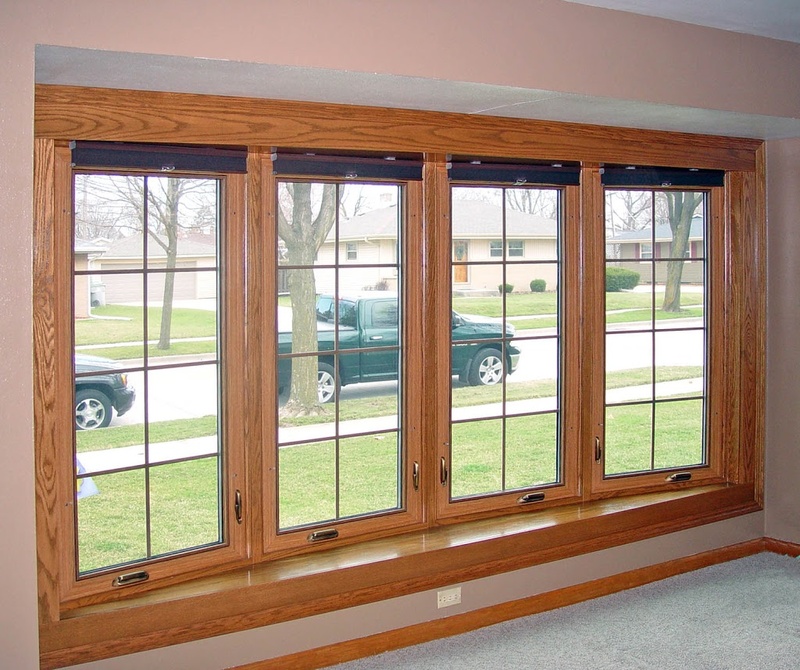 Even just installing more energy-efficient windows throughout a home will reduce utility costs for homeowners, sometimes in the hundreds of dollars. The green building market grew in 2013 to $260 billion, and that trend is expected to grow even more in coming years. “Green living” isn’t just a fad, and homeowners want the spaces they live in to reflect the same eco-friendly lifestyle that they aspire to. Energy-efficiency can improve our health, too. Most humans spend a lot of time indoors, whether we’re at work, in a restaurant, or at home. But this indoor behavior doesn’t lend itself to better health. In fact, the air that we breathe in our homes can put us at risk for an array of health problems, because of the pollutants coming from materials and systems in the house. Building an energy-efficient home can also meet higher standards for indoor air quality. Better ventilation systems, environmentally-safe building materials, and proper insulation ensure that the home performs better and promotes cleaner air. Energy-efficient homes offer more comfortable environments for the people inside, but can also offer a bigger payback if they put their house on the market. Builders can help homeowners optimize their homes for energy-efficiency, and it might help to talk through the areas of the home that are key. Builders can ensure energy-efficiency by designing and orienting a home to take advantage of the sun’s position throughout the day. -The morning sun will be dominant in east-facing rooms. -Early evening sunlight will come from the west at lower angles. -North rooms will have the least amount of natural light. Building a home that performs at its highest potential is a bit of a balancing act. Each of the home’s systems play a role in that performance, but it starts with the building envelope. The external walls, windows, roof, and floor all need to work together to provide continuous insulation and protection from outside elements. 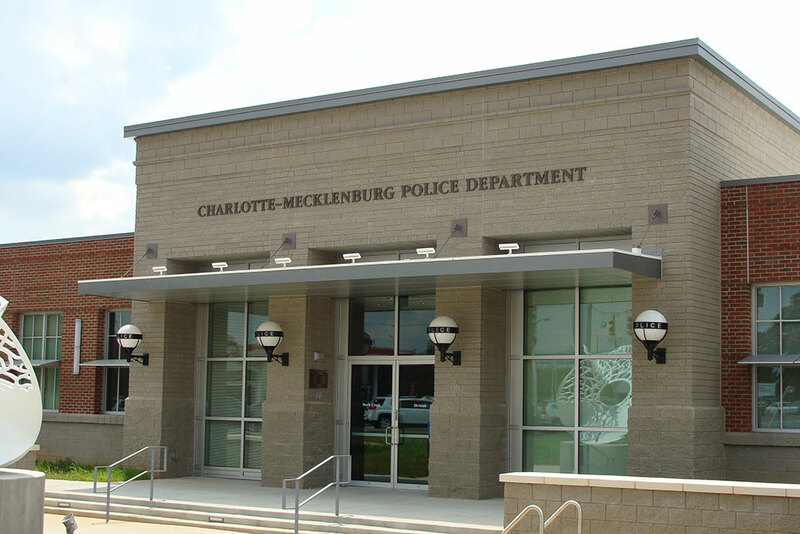 ICF construction meets this demand for a high-performing building envelope, providing the ultimate in comfort and security with a system that is both resilient and energy-efficient. The interlocking blocks of an ICF wall have two layers of continuous insulation, filled with concrete, enabling an airtight, high-performing wall assembly. If you’re looking for a building envelope that resists moisture and can stand up to hurricanes, ICF offers homeowners a great solution. Homeowners have a growing number of options when it comes to energy-saving appliances, along with smarter technology for the systems that help run the home. Install thermostats that regulate the home’s temperature during specific times of the day. Some programmable systems even connect to mobile apps, so homeowners can control settings even when they’re not at home. ENERGY STAR is a government-backed program that offers consumers guidelines for more energy-efficient systems and products. There’s an entire menu of ENERGY STAR-rated products on their site, from refrigerators to windows to light bulbs. Photovoltaic devices are becoming increasingly available to homeowners to help power their homes, heat water, and save on additional energy costs. 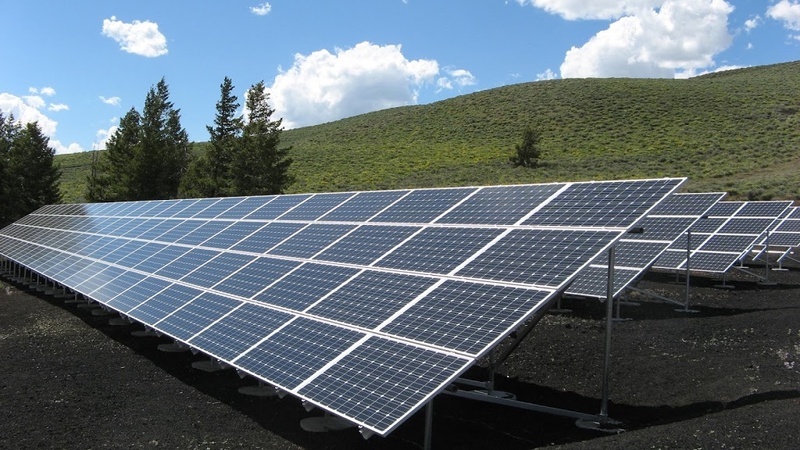 The U.S. has a wealth of solar energy available so taking advantage of this resource can not only save homeowners money but also make their home more eco friendly. The demand for energy-efficient homes is only going to increase in coming years. It only helps those of us in the industry to stay ahead of what homeowners want so we can build the home they’re looking for. Building homes designed for energy-efficiency means we have higher-performing spaces, and in the end, happier homeowners. Sustainability is rapidly gaining momentum on a global scale. More countries have tightened up the regulations that govern the impact of construction on the local environment, from obligatory energy efficiency ratings and life-cycle assessments to transportation costs and the use of renewable materials. As critical as these changes are to protecting our environment, there’s no denying that meeting modern sustainability requirements presents a challenge to construction companies and building owners alike. Presented with the costs inherent in meeting these new regulations, construction companies are faced with sacrificing profit margin or passing the costs onto building owners. In some countries, businesses can achieve different levels of certification, with each level requiring higher levels of compliance. In the UK, for example, the highest levels of the Code for Sustainable Homes program address details down to the type of portable toilet used on the work site. There are small, incremental changes even the smallest construction company can afford to make. And, taken as a whole, those small changes can make a big impact. 1. Make sustainability an inherent part of your business processes. When you’ve been doing business the same way for a long time and suddenly have to change course, it’s easy to see those sustainability efforts as an “add-on” item. But it’s much more efficient and cost-effective to start from the very beginning with sustainability in mind. Think of it like this: Let’s say your doctor tells you to go on a low-fat, low-carb, low-sugar diet. One way to do it would be to stare into your refrigerator before every meal, trying to figure out something you could do with whatever healthy ingredients you have on hand. On the other hand, you could set yourself up for success by stocking your refrigerator and pantry with healthy ingredients as well as with kitchen tools like non-stick cookware. Instead of trying to cobble something together for each meal, you’d have everything you need for your new, healthy lifestyle on hand. That same holistic approach is important for success in sustainable construction. One way to start would be by establishing a network of vendors who can provide you with sustainable building materials. You could also change your hiring practices to prioritize employees with experience in sustainable construction — or you could train your existing employees. Those are just examples. The key is to build sustainability into everything you do rather than trying to force it into and around your existing business processes. 2. Consider the benefits of prefabrication. There are two primary benefits of switching to a prefabrication model. 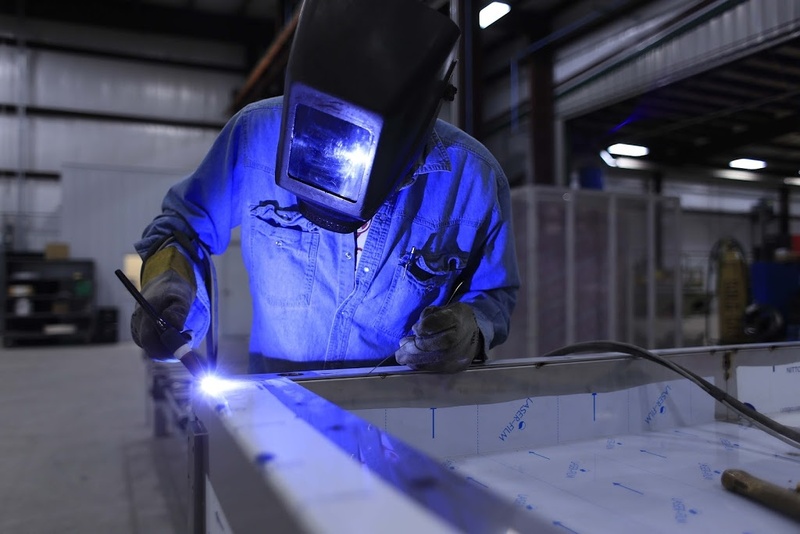 For one thing, it allows for economies of scale, with employees producing prefabricated components in an assembly-line process, allowing for greater speed and efficiency. You could still easily deliver customized solutions to your customers, but that customization would be accomplished through the way the various components are put together to achieve the final design. The second benefit is reduced energy consumption. Moving heavy machinery from site to site consumes a lot of fuel. Leaving the equipment at one central location and transporting only the necessary components can save a significant amount of fuel. 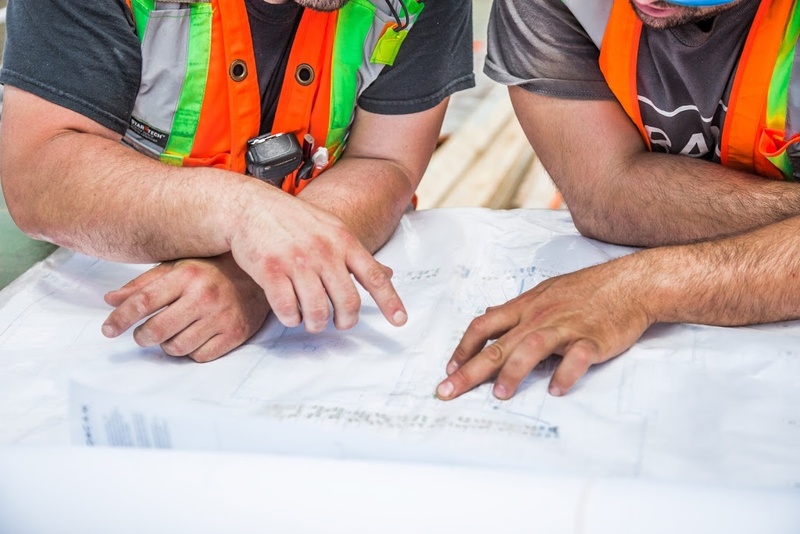 When you approach each construction project differently, you waste a lot of time waiting for employees to get up to speed on what’s needed for that particular project. When you standardize processes, projects get completed more quickly, more efficiently, and with less waste due to mistakes. 4. Prioritize suppliers who source locally. In addition to streamlining your own transportation costs, you can also consider transportation costs when choosing suppliers. One way to do that is by choosing suppliers who use materials that are widely available, like concrete. Another way of accomplishing that is by focusing on materials that cost little to transport, like the polystyrene formwork used in ICF blocks. Every minute a piece of machinery idles or is used inappropriately increases both energy costs and your project’s carbon footprint. Plan your workday so that each piece of equipment and any required materials are ready when they’re needed. In the long term, look for ways to reduce the need for heavy machinery and power tools by selecting materials that can be constructed in more environmentally-friendly ways. Some construction waste may be inevitable, but a surprising amount can be reduced or even eliminated. One simple step is to choose materials or suppliers that require little packaging. Using components made from recycled materials is another easy way to minimize construction waste. Another opportunity for waste reduction is to train employees to separate and categorize waste as it’s generated, laying the groundwork for later recycling efforts. When you’re looking at your P&L statement, it can be easy to become resentful of increased environmental legislation. In the long term however, the construction industry stands to benefit as much as the environment. Tighter regulations lead to innovation, as businesses adapt their products and processes to meet the new requirements without sacrificing profit. And as consumers become more aware of the health and environmental benefits of sustainable buildings, the companies with a proven track record in sustainable design will have a competitive advantage that will be hard to beat. Nashville is known as the nation’s hub for country music and culture. As the capital city of Tennessee, it has steadily grown in population since the 1970s. The city’s leadership saw a need for more affordable housing opportunities in the booming metroplex, with a focus on more energy-efficient homes to further address the cost of living. Nashville’s Metropolitan Department of Housing Agency (MDHA) provides affordable housing programs for low-income families in the area. So far, the agency has assisted 5,300 families in finding quality, affordable homes. MDHA has also helped to launch other innovative projects “that are increasing housing options for low- and moderate-income Nashvillians.” The agency saw the need for affordable housing that could also help homeowners save on utility and maintenance costs. The Woods at Monticello was the first green, affordable housing initiative launched in Nashville. With a focus on high-performance and durability, the neighborhood boasts energy-efficient homes built to save homeowners money. 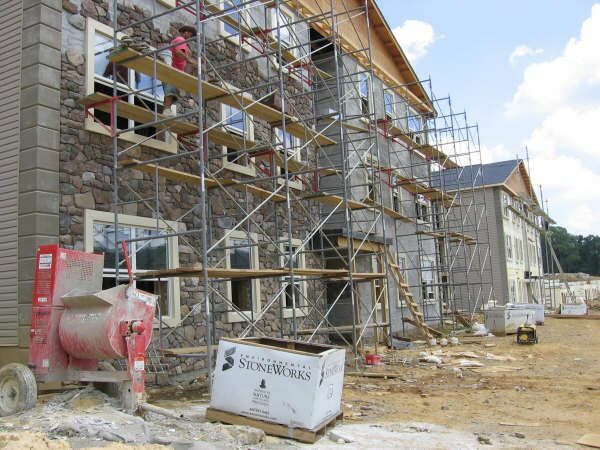 The two-story homes at “the woods at Monticello” include numerous energy-efficient technologies, including the use of Fox Blocks’ ICF construction. The two-story craftsman-style home features an open floor plan with sleek hardwood flooring. 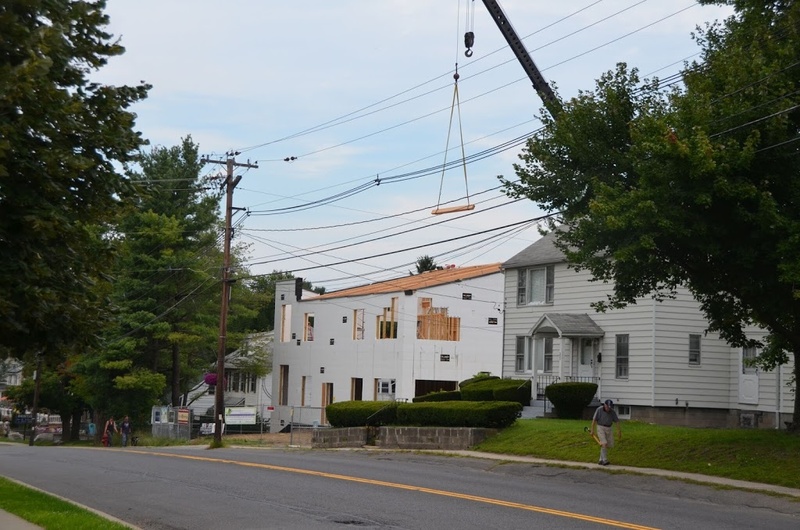 The decision to use ICFs as the main building component not only resulted in a more energy-efficient building, but also saved time during the construction project, which reduced overall construction cost. The use of ICFs in this Nashville neighborhood permitted the addition of a second story to the building without a large increase in labor costs, and ensured that the project still came in on budget. The reduced costs didn’t mean a decrease in the quality of the project or the home’s curb appeal. Are greener building methods on your agenda? Contact us to see how Fox Blocks can help in your next energy-efficient project. As climate change becomes a greater issue, architects are under increasing pressure to design sustainable, yet high-performance buildings. According to Energy Sector Management Assistance Program, about one-third of the world’s energy is consumed in buildings, making up a huge chunk of C02 emissions. This fact has made sustainable building a top priority for governments that are trying to meet carbon reduction targets. As construction standards are tightened, it’s up to architects and builders to rise to the occasion. Below, we go over some effective strategies you can use during the design process to enhance your building’s energy efficiency. Optimal sustainability is achieved when your building minimizes its need for artificial energy. This can be achieved with climate-responsive design: design that is perfectly adapted for the building’s environment. First you’ll want to perform a site analysis. You’ll evaluate the area’s weather patterns, as well as the topography of the site and its orientation to the sun. Any landscape features that may affect the building’s energy needs should be identified and noted (example: sun-blocking hills or patches of shade trees). Getting a building’s layout and orientation correct is the key to designing for low energy consumption. Based on what you learned in your site assessment, you’ll need to pick the perfect placement of your building and its architectural features (windows, most importantly). When done well, your resulting design should maximize daylight exposure indoors and regulate temperatures to be comfortable year-round. Hitting these targets will reduce your building’s need for artificial lighting, heating and cooling. More often than not, it will take some experimentation to nail down the most effective design. By drawing up multiple concepts and using energy modeling technology, you’ll be able to zero in on the design that achieves the highest level of sustainability for the site on which you’re building. -Over half of projects that met or almost met a 60% energy reduction target made use of energy modeling programs. -Conversely, projects that didn’t use such programs rarely met the target. Using energy modeling tools from the start of your design phase will help you keep efficiency a priority throughout your project’s lifespan. These tools also save you from having to make sustainability adjustments later, which can add extra costs and delays. Sefaira Architecture and Insight by Autodesk are two examples of popular energy modeling tools, ideal for the early stages of design. The most sustainable buildings have envelopes designed to regulate internal temperatures. This includes preventing heat loss in winter, as well as preventing heat penetration in the summer. This is one area where proper material choice is a crucial aspect of sustainable design. If you want to achieve an envelope with optimal R-value, consider using mass walls with continuous insulating materials that have proven their eco-friendliness. ICF blocks are known for being airtight, with almost no thermal bridging and very low air leakage. This feature is particularly important for efficiency, as anywhere between 20-40% of a building’s heating and cooling load is estimated to compensate for air leaks. Additionally, the blocks sport continuous insulation on both their outer and inner sides, giving structures two layers of insulation already built in. This innate level of insulation is often sufficient for many environments. In extreme colder climates, some additional insulation may be necessary. You can either opt to use ICF blocks that have thicker insulation options, or you can add an addition layer of rigid insulation to the wall’s exterior. When compared to structures that are built just to meet code, the lifetime energy footprint of ICF buildings drastically lower. Their impressive performance makes ICF construction one of the most sustainable structure types today. With sustainability being a top concern in today’s world, architects have an opportunity to distinguish themselves and their projects by making efficiency a fundamental aspect of their designs. Not only will the structures in your portfolio meet the needs of the modern market, they’ll also contribute to a more responsible architectural landscape. By following these tips, you’ll be well on your way to improving the energy performance of every future building you design. Do you want to use Fox Blocks for a project? Drop us a line about products, installation, purchasing or technical issues.